From domestic ice machines to heavy-duty gas ranges that require huge air duct hoods just to use them inside, ARV is your crew of appliance repair people to trust and rely on, as we only hire qualified technicians and proper appliance mechanics to see that the service you require is rendered to 100% satisfaction. With that said, don't expect outrageous costs and prices because, though we may work faster and have more qualifications and experience than the next guys over, we believe in fairness. Freezers, cookers, fridges and gas ovens are only a phone call away from being repaired and maintained back to proper working order. Fill out the quick quote form below to find out. We're always happy to help and serve. Frozen goods in your freezer don't need to worry about melting if you call Vancouver BC's trusted and friendly freezer technician service repairmen. See why the freezer next doors stays in business when the one across the street has to shut down for a day just because a major part broke down in the night and all the food is ruined. If only they had called us that morning, their salmon would be frozen again by noon. And that goes for barbecues, RV kitchen appliances in mobile homes, heavy-duty deep fryers, gas ranges, stove top elements and all other major home appliances and cooking equipment. 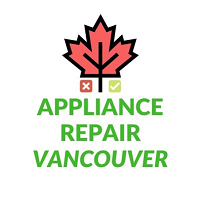 For all your major appliance repair Vancouver services we're ready for the call of duty.